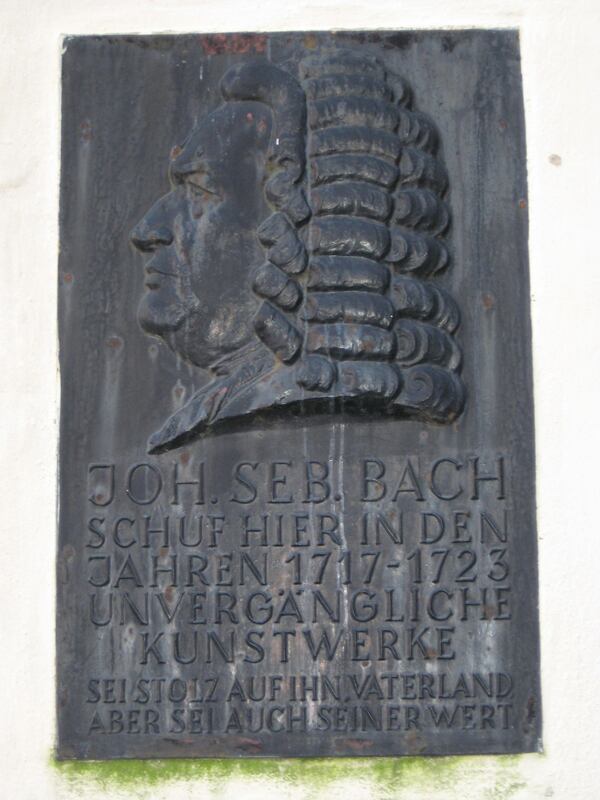 In late 1968 Johann Sebastian Bach’s music changed my life. I was a freshman at Wesleyan University in a year that saw an invisible pendulum swinging from hell to heaven, from the terrible assassinations of our heroes to celestial visions of the sort that visited me one day in my first week of college. Up to that day I’d dutifully followed the path of science, one laid for me by parents and grandparents when I was young. In light of those visions of another world, my path appeared dull and dusty; the journey ahead appeared to be one that I wasn’t up to. My heart was not in science, had never been, but in music. I’d been playing and singing since the year before the Beatles, inspired by music that just got better and better each month in Rock’s golden age. But no one had ever suggested to me that music might be a career, and it had never occurred to me. Until one December afternoon that fall. In a monk-like cell, a listening room in the basement of the Wesleyan Music building, I huddled in the twilight over an ancient record player listening to my latest assignment in Music 101. It had an intimidating name – the Bach B Minor Mass – and indeed, as I heard those first thundering chords of the Kyrie, I was a little afraid. Here on earth, tucked just beneath its skin in this basement, I heard a sound that seemed to issue from the realm of those celestial visions of a few months before, which still haunted me. I had heard little music in my house growing up aside from my dad’s occasional plaintive harmonica playing. The exception came in the weeks before Christmas, when our house filled with the carols he loved and played incessantly on our old record player. Those carols were made of the same harmonic materials as the Mass, and therefore prepared me for my introduction to the mass. –the little chapels of my father’s humble carols vaulted by the hands of genius into the lofty reaches and spires of a musical Chartres. I listened to the Kyrie again and again that afternoon, because every time I put the needle down again I caught some new detail in that monumental edifice, like a glimmer on stained glass or the eyes on a stone angel. I’d stumbled on the secret of great music: each listening reveals a little more of the magic. I stepped out into the dark, my notion of music having expanded beyond the Beatles, Hendrix, and even my lately beloved Jefferson Airplane. It was a world too big, too beautiful not to explore. I changed my major to Music and never looked back. Ten years later I again faced a new career crisis. I had fled performing a few years before, pursued by a fearsome demon: stagefright. Now my friend Livingston Taylor used his considerable powers of persuasion to lure me back on stage, and a big stage it was – opening for Linda Rondstadt before 20,000 people a night. I’d jumped back on the horse that had thrown me, but the demon still wouldn’t let go. I was miserable up there, and knew it was only a matter of months before I’d quit again, and this time for good. In addition to my nightly terror, the tour was frustrating. I found it ironic that though a mutual love of music was what had our band out on the road, as opening act the only music we got to play each day was a brief sound check and a 20-minute set. “ ‘Echo’ from French Overture.” I had never learned to read music, and now in the long afternoons before the show, I sat and struggled to learn to read with this piece by the Master. I thought I was just trying to find some way to make music on this unmusical tour. I was unaware that a new purpose was manifesting within me without my knowledge. I’d been writing pop songs for years. With melodic bass lines in counterpoint to their melodies, they’d always been influenced by Bach,. And more recently, as I taught myself orchestration, they were getting big for their britches, more mini-symphonies than pop tunes. Now as I neared the end of my performing career, I knew that without performing them myself they would never find an audience. Had the internet existed then, it might have been a different story. When I got home from the road, for good this time, I was in a state familiar to musicians fresh from touring – exhausted to the point of delirium, yet filled with an agitation that had me pacing the 20 feet of my apartment, bouncing off the walls after months of covering thousands of miles. I sat down at my girlfriend’s piano and began writing a song without words, scratching notes on paper. Soon I was composing every morning. 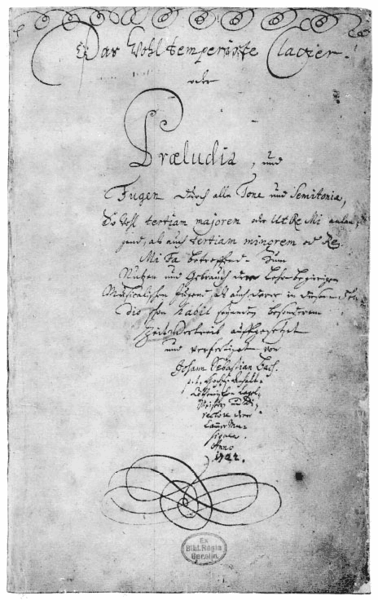 But before I wrote a note I would hack away at something from Bach’s bible of counterpoint, the well tempered clavier. I’d never have the piano chops to perform any of those pieces. Guitar would always be my axe. But I’d heard that Beethoven had performed the Well Tempered Clavier when he was 12. That hadn’t seemed to harm his composing chops. I figured I could get some of Bach’s harmony and counterpoint under my fingers. How to make a living with this new music I was writing? I produced singer/songwriters and bands, but they never had much money. I heard of some contemporary Classical composers, but they too were broke, or taught, because few would pay for their dissonant music. 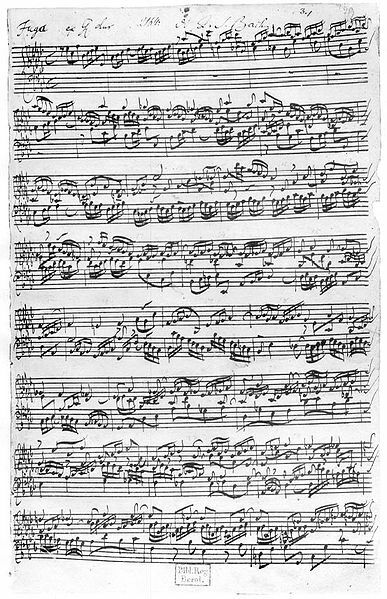 Bach intervened again in my life, this time with the example of his career. He’d gone where the money was at the time– the church and court. He’d written what they needed: background music for services and ceremonies. Someone told me, “Hey, they sometimes hire composers over at Polaroid.” They hired me, and paid me well. It was the beginning of a long a career composing for corporations –for sales meetings, training videos, annual reports. Rocker friends sniffed at me, as though what I was doing was worse than selling out, beneath contempt. It was before everyone including Dylan and the Beatles appeared in ads. I didn’t care. If it was good enough for Bach it was good enough for me. Hearing Bach set me on the career path of music. His career inspired mine. He has also enriched my daily life more than any person outside of family and close friends. A week rarely goes by when I don’t listen to him, whether at the hands of Glenn Gould, or the voices of Ton Koopman’s Amsterdam chorus. Whatever my worries, whatever my mood, after an hour of Bach I’m a little closer to that higher place. This is a lovely. Despite the way so it is viewed by so many , Classical music is radical and evolutionary = revolutionary. And this - "exhausted to the point of delirium, yet filled with an agitation that had me pacing the 20 feet of my apartment," - there is a word for this - Post Minstrel Syndrome. Though I admit this is a little in contrast to my Joan Jett piece ;) Cheers. Hoop - I prefer "81, though part of it is the superior recording quality. Though I think his performance is deeper - what do you think? For me, in college, it was Beethoven's Violin Concerto that changed my life. Bach followed when I studied piano and violin for fun, not profit, later in life. It is hard to describe how profoundly satisfying it is to perform the simplest Bach compositions. 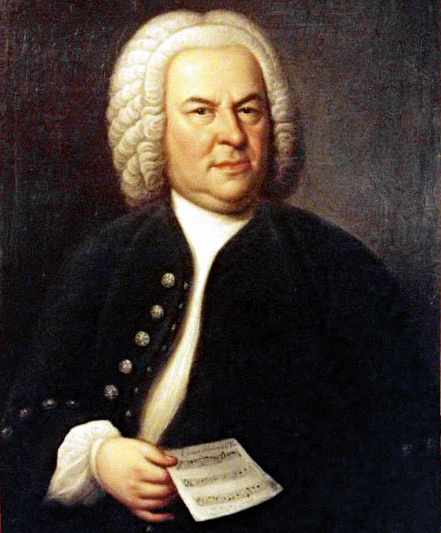 You were wise to follow Bach's lead when finding employment. Thanks for an interesting and enjoyable post. Well done. Like good music your writing develops and carries the reader along on a satisfying journey. Thank you. So rare to read intelligent but not too snobby writing about music. Hope to hear/read more from you soon. BTW I like the '55 better - more energy. Love Bach, though I've never tackled the "Mass." Recently, a local 300+-year-old church installed a pipe organ and held a concert. There is nothing like sitting in an old historic site, listening to the "Toccata and Fugue" bursting out right above you. This was a wonderful explanation of how an appreciation for Bach determined your future path. Hoping there's a Part 2 soon. I admit to a problem when it comes to appreciating Old Masters music. Don't get me wrong, they deserve the acclaim and renown (for the most part) that late-comers to the party afford them, I just don't enjoy them. They are indeed the giants on whose shoulders we all stand, but I've heard re-hashings of their original licks so often and for so long that when I actually listen to them they sound lame to me. And, I have to ditto Hoop Junior's observation that composers are the artists, musicians and singers are craftsmen at best, and I am all three. Thank you all for your kind comments. Witness - you are right. I learned to play single parts of the 2 part inventions on guitar and it was very satisfying - though quite difficult to finger! Karmachick-hey, he was younger. Nikki - I would LOVE to speak with you about the transition from composer to writer. Monsieur Cuss- have you heard Stokowski's orchestral version of the toccata/fugue? Totally rocks. And Fred - yeah, they're all dead white guys. But Bach is worth chasing. But first you gotta train your ears to hear a fugue. I'm sounding like a freaking schoolteacher, or your mom, gotta take this medicine, I know it tastes bad....but I mean it. He's worth the trouble. OK, I'll shut up now. You were inspired by one of the greatest. It doesn't inspire me that Bach wouldn't let you forget, but kept calling to you. I don't think you need to worry too much--Old Johann Sebastian has had three hundred years of staying power. The Creative and Performing Arts have a long illustrious history of inspiring a huge number of starving composers, musicians singers, authors and artists. They're not nearly as appreciated as they should be (They meaning the art forms themselves), yet they endure because enough people have loved them enough to keep them going at any price. After all, Bach was a working man all his life, and Mozart was a starving composer, too. You're in distinguished company. Good luck, and keep going! You found the right composer. If you never have, check out the solo violin sonatas and partitas. My favorite version is the Arthur Grumiaux performance, though it's kind of hard to find. Listening to a fugue played by a solo violin with no overdubbing is an amazing experience. Also check out the St. Matthews Passion - though I'm Jewish, it made me understand transcendent Christian faith. By the way, I used to play a lot of early music. Now I do rock'n'roll and, oddly enough, klezmer. None of it for a living. Actually, I'm going to hear the cello suites at Tanglewood next month - Peter Wispelway is supposed to be the best. I love the St. Matthews and St. John's Passions, but the cantatas - there are 75 CDs of great music! I too play rock and roll - no longer for a living, though I do write it for a living. Actually playing it just for fun is more fun! My Dad is a pianist, and can play (or orchestrate) virtually anything . . . he says that the best job is one that pays. Thanks for the memoir. The story of me and Bach is similar; I got started a little earlier, and the path from there to here took some different turns from the path you chopped out. You're an inspiration; I'll post my story up at the blog. What is the greatest miracle of his music? The spirit that breathes in it is a teaching spirit. Anyone, of any musical taste or talent, who comes under his spell, learns from him. If I'm a folksinger, my folk songs get better. Perceptibly better, to listeners who may know nothing of my fascination with Bach. Likewise, if I'm a rocker, or if I'm doing techno: surrendering my ears to Bach, my music becomes more my own than ever.